How to use a dental gel "Metrogyl Denta"
"Metrogyl Denta" is an antimicrobial drug for local use. Widely used in dentistry. It consists of active components such as benzoate metronidazole and chlorhexidine bigluconate. The combined drug is active against gram-negative and gram-positive anaerobic and aerobic bacteria and is effective against pathogens of periodontitis. The drug has a fluid consistency, allowing it to penetrate deeply into periodontal pockets. 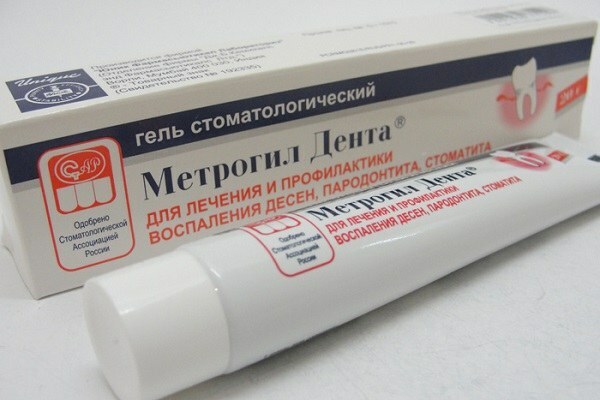 "Metrogyl Denta" is used in inflammatory and infectious diseases of the mucous membrane of the oral cavity and periodontium. These conditions include chronic and acute gingivitis and parodontit, paradontitis, ulcerative-necrotic gingivitis Vincent, aphthous stomatitis, cheilitis, juvenile periodontal disease, and postextraction alveolitis, periodontal abscess and periodontitis. The gel is also used for inflammation of the oral mucosa during the period of wearing dentures. The drug is contraindicated in children under 6 years of age and patients with individual intolerance to chlorhexidine and metronidazole. With caution sleduet to take during pregnancy and lactation, liver disease, peripheral and Central nervous system and blood disorders. During therapy, the drug should not be consumed alcoholic beverages. "Metrogyl Denta" can cause side effects such as headaches and allergic reactions — hives, itching, and skin rash. In case of overdose of the medicine may be convulsions and paresthesia, dizziness and digestive problems. When gingivitis adults and children over six years of the drug given twice a day. The gel needs to be applied to the area of gums and not wash away. The course lasts for 7 to 10 days. After use of the drug should refrain from eating and drinking for half an hour. With periodontitis, the dentist makes an application of gel to the periodontal pockets after removing them dental. The duration is 30 min and the Number of applications depends on the severity of the disease. Then the drug on the gums causes the patient twice a day for 10 days. During therapy, aphthous stomatitis, doctor prescribes to make "Metrogyl Denta" on the inflamed area of the oral mucosa twice a day for weeks. For the prevention of exacerbations of chronic periodontitis and gingivitis the drug is used on the area of the gum twice a day for 10 days. Courses are held 2 — 3 times a year. After tooth extraction, preventive measures postextraction alveolitis treated the hole with gel three times a day for 7 days.